Tomsk firefighters rescued 150 animals. 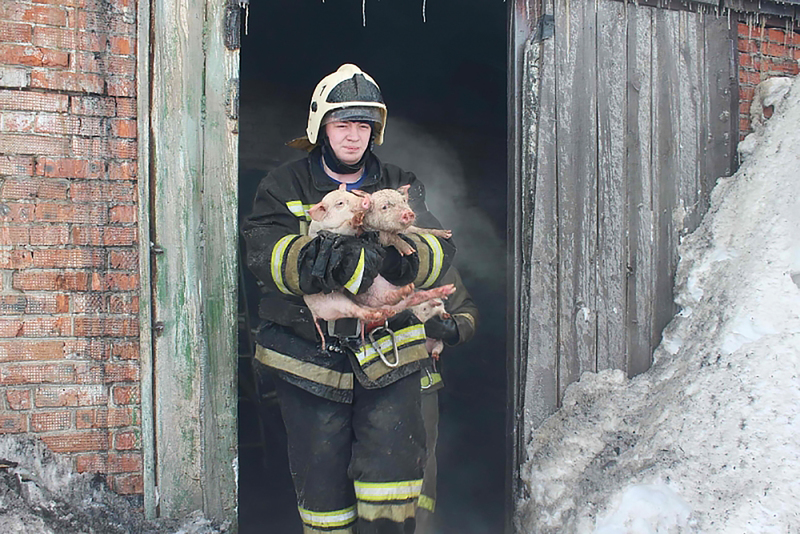 When a fire swept through a pig farm in the Tomsk Region, firefighters jumped into action and quickly rescued about 150 animals, reported the local Emergency Ministry office. When the two dozen firefighters arrived, the roof of the one-story brick building was fully covered with flames. "According to farm owners, as many as 200 baby pigs were inside the building," reported the Emergency Ministry. Unfortunately, about 50 of the animals perished in the fire, which covered about 700 square meters.